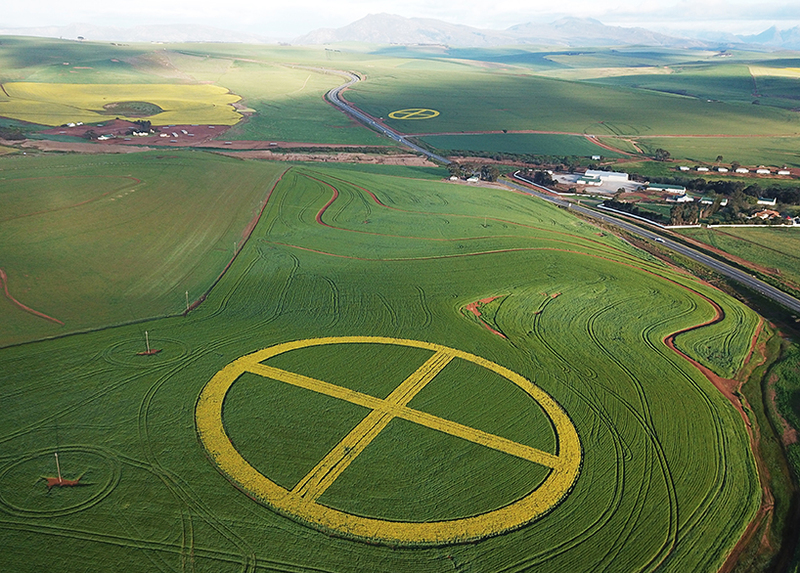 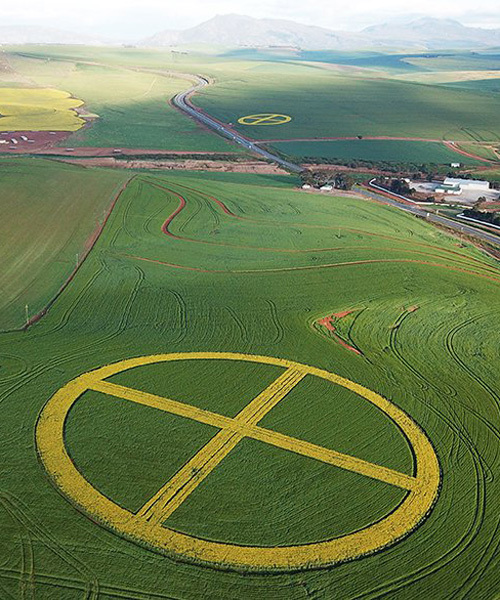 artist strijdom van der merwe has reshaped two pieces of land in the fields of boontjieskraal, western cape, south africa, into earth symbols using canola flowers and wheat. 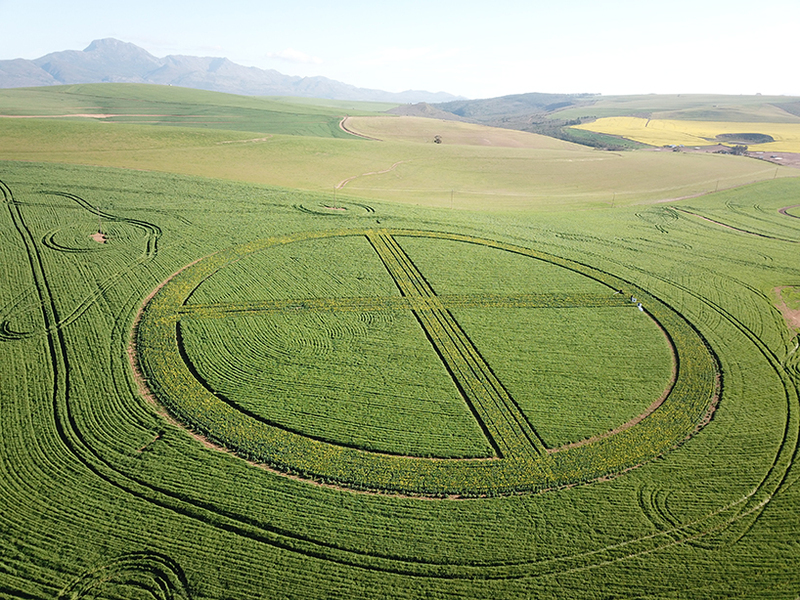 comissioned by the faculty of agri science, university of stellenbosch, as part of its centenary celebrations, the symbols are each composed of an 100-meter-diameter circle with a cross, where one line represents the equator and the other the meridian. 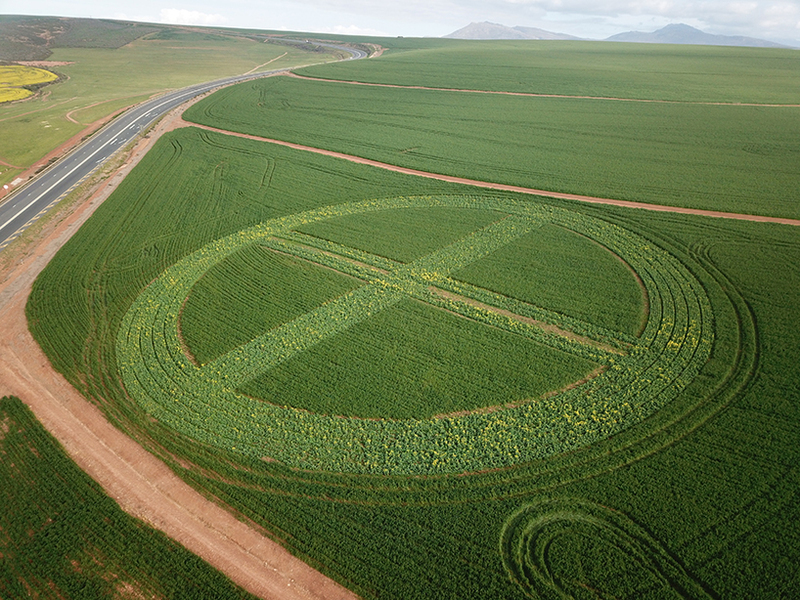 as a land artist, strijdom van der merwe tends to use materials found on each chosen site, as in the case of the fields along the N2 near caledon, where he has worked with canola flowers, shaped them into geometric forms and gradually integrated them back into the natural environment. 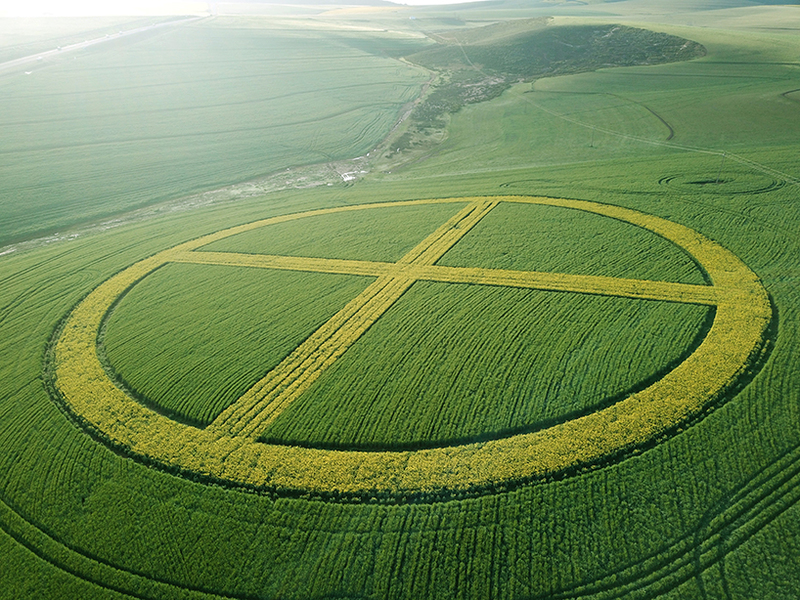 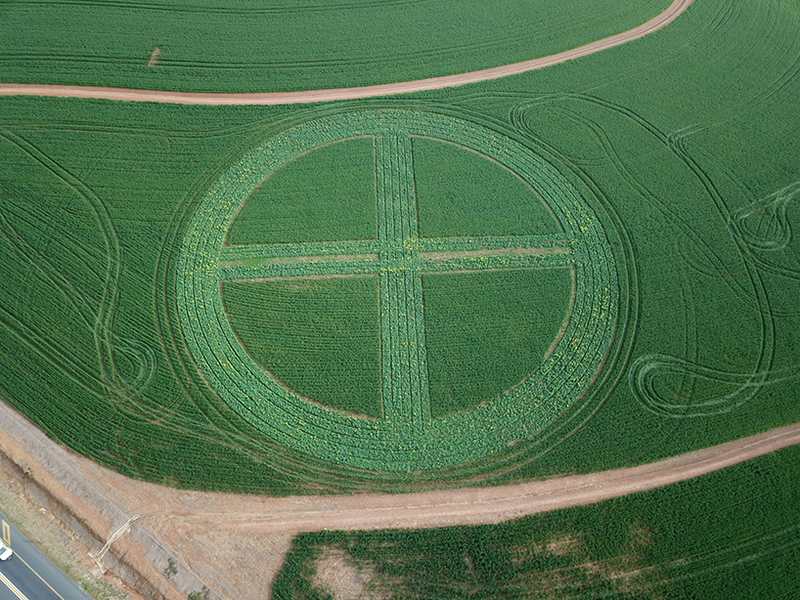 the two crop circles’ impermanent qualities will see their appearance change with the seasons, turning from green, to yellow and brown, before they eventually disappear within the landscape.